As executive vice president of development, Dan Moen leads Ardent’s efforts to partner with new hospitals, health systems and communities. Mr. Moen is a founder of LHP Hospital Group and served as chairman of its board of directors until its acquisition by Ardent in 2017. Throughout his career—Mr. Moen and his team have advocated for healthcare joint ventures that promote shared governance and genuine, long-lasting relationships with community leaders, hospital leaders, physicians and employee stakeholders. Prior to joining LHP, Mr. Moen served as executive vice president of development for Triad Hospitals, Inc., where he spearheaded the acquisition of all their new hospitals. Before that, he worked for Columbia Hospital Corporation (now HCA) from 1991 to 1998, first as the president of the South Florida division. In 1994, he was named president of the Florida Group and, in 1996, he assumed the role of president of the Columbia Sponsored Network group and was responsible for the company’s managed care subsidiaries. Mr. Moen started his healthcare career with Humana in 1977 and worked there in positions of increasing responsibility for 14 years. 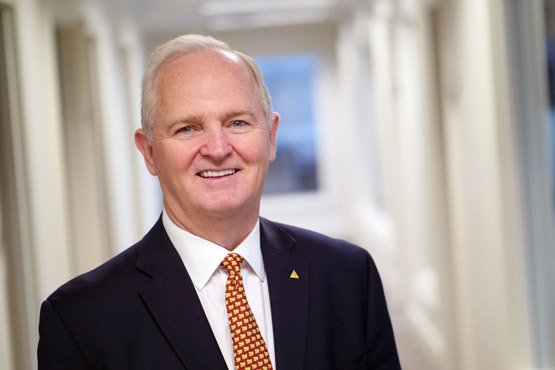 At Humana, he managed hospitals in Virginia, West Virginia, Florida and Mexico, in addition to being responsible for Humana’s managed care division. Mr. Moen holds both a bachelor’s degree and master’s degree in public health from Oklahoma University and a master’s degree in business administration from Southern Methodist University.